I've searched everywhere in the internet and I couldn't really find anything associated to this. And we've connected successfully to Endpoints but When we ran Batch Pipeline in Verfy mode, we have the following error. If someone knows how to fix it please help us. Thanks. The issue is with the way we are executing the process. We found this out after talking to Sitecore Support. Note From Sitecore Support: Verification feature is slightly different. In order to run migration with enabled verification feature you need to perform all steps from the installation guide for enabling verification feature (1.6.5. Configure the verification database) and then click "Run pipeline batch" button(not Run in Verify mode). [Not Run in Verify mode], instead just click on "Run pipeline batch" button we were able to by pass the issue. Not the answer you're looking for? 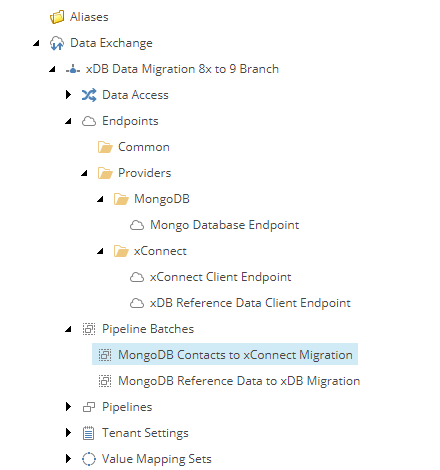 Browse other questions tagged xconnect mongodb or ask your own question.